Handwritten note cards are a wonderful way to make family and friends feel welcome at the table!...and a great way to establish, ahem, who sits next to whom. Sprinkle greenery around your table; use a sprig under your napkin ring or create a centerpiece with holly or a clipping from your Fraser Fir. 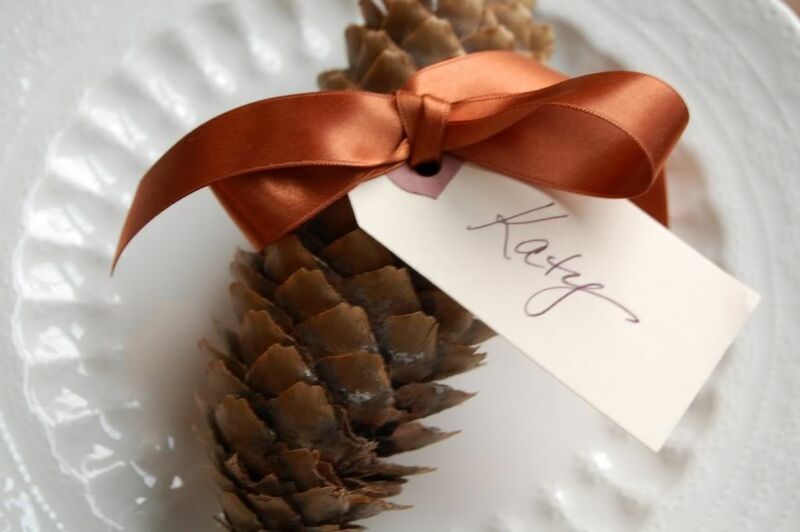 If you're feeling extra creative, sprinkle in ornaments - especially if they are meaningful to guests at your table! Carol loves using these vintage Santa faces that can be easily sprinkles around the table! She also suggests incorporating family photos - they're great conversation pieces and you never know what family stories will ensue! Adding extra layers of fabrics and textures helps create an especially warm environment. Double up on your cloth napkins or use two place mats instead of one - the more the merrier! Carol's dedication to beautifying Macon's homes has led to the store’s 40 year growth, turning it into the destination it is today. Carol's Linens now features an extensive collection of table top, home décor items, lamps, draperies and a carefully cultivated selection of gifts and accessories. Carol and her entire staff invite you to come in and let them help you transform your holiday table. Visit Carol's Linens on Facebook or give them a call at 478-330-5892.